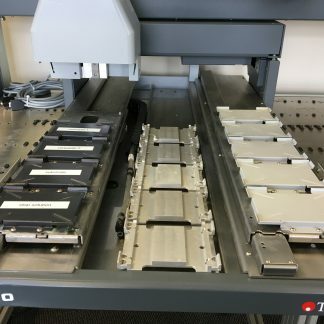 Home / Microplate Instruments / Microplate Stackers / Tecan CAROUSEL STACKER HS Sample Management Stacker for Genesis and Evo. Plate Storage. 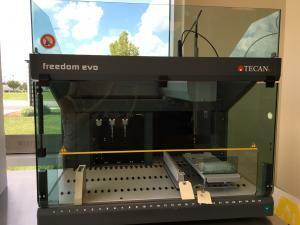 Tecan Freedom EVO 75 2 Tip Automated Liquid Handling Pipetting Robot. Certified Refurbished. Warranty! Tecan EVO 75 2 Tip Liquid Handler. Certified Refurbished. 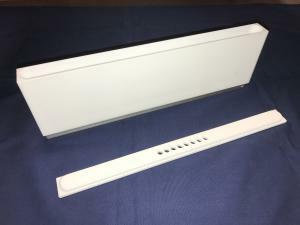 Disposable Tip Unit (Fixed Tip unit also available) Single Liha Arm 1ml Syringes (Other syringe sizes available) Includes: Installation, Set-up, PC, Flatscreen, keyboard, mouse, UPS, and Gemini for Evo software. QA/QC Testing Documentation. Remfg. Certificate included. Warranty: 6 Month Parts & Labor Warranty Leadtime: Up to 20 business days. *Deckware and Fawa pictured, sold separately. 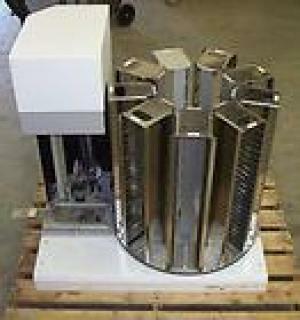 Tecan EVO Version 2 200 4 Tip Automated Liquid Handling Robot. Certified Refurbished. Warranty! 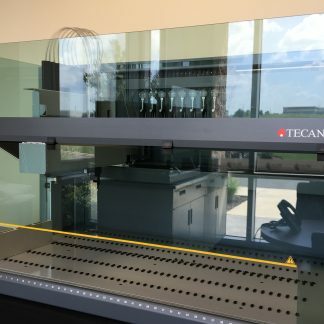 Tecan Freedom EVO Version 2 200 4 Tip DITI Liquid Handling Robot. Certified Refurbished. Disposable Tip Unit (Fixed Tip unit also available) Single Liha Arm 1ml Syringes (Other syringe sizes available) Includes: Installation, Set-up, PC, Flatscreen,and Gemini for Evo software. QA/QC Testing Documentation. Remfg. Certificate included. Warranty: 6 Month Onsite Warranty Leadtime: Up to 20 business days. 10613056 and 30014666 Reagent Carrier Trough, 350mL, 1-Position, PTFE, 1 Large Slot Lid Tecan Freedom EVO Version 2 200 8 Tip with Evoware Software, Automated Liquid Handling Robot. Certified Refurbished.